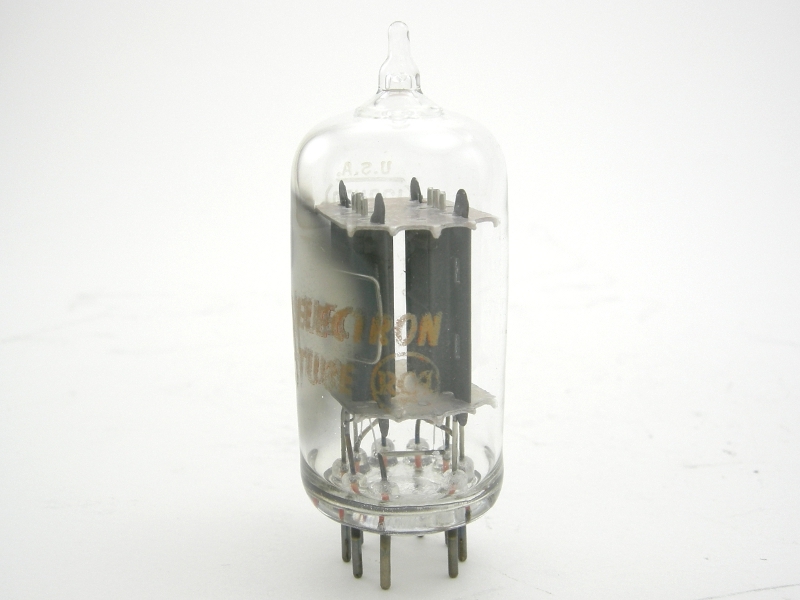 This early 1960s RCA 12AU7A tube has ribbed gray plates, a side getter, and a clear top. The red print on the glass has the RCA logo. See product options for current availability. Tube ships in its original box or in a new white box.